With more than 1,855 home improvement and hardware stores nationwide, it is imperative to manage operations that reduce cost and decrease environmental impact. From new energy efficient technologies to recycling and supply chain programs, we’re focused on building systems that reduce our impact on the environment. Each year we explore new ways to pursue energy-efficiency and emissions reduction. We’ve been testing new technologies such as LED lighting and state-of-the-art building management systems to control light, air conditioning, and other building systems. On average, these projects have yielded a 23-percent reduction in energy consumption while maintaining levels required for ultimate functionality. Since 2004, we have partnered with nonprofit organization Call2Recycle to work toward our waste and recycling goals. Over the years, we have recycled more than 4.3 million pounds of batteries thanks to our partnership. That may sound like an astronomical number, but that hasn’t made us complacent. We’ve continued to increase our recycling contracts and encourage both employees and customers to recycle compact fluorescent lamps, plastic bags, rechargeable batteries and cell phones. Plus, we are constantly evaluating our processes to keep up with the ever-changing direction of the industry and limit waste to landfills. 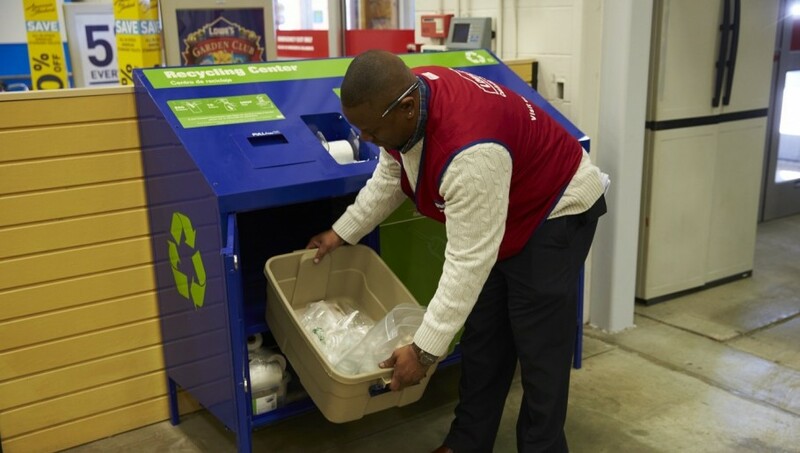 Energy efficiency and waste management doesn’t stop with Lowe’s employees. We’re also committed to carrying thousands of products to help customers lower their utility bills and live more sustainably. We believe that supplying responsible product choices benefits the communities we live and work. That’s why each of our employees are trained to help our customers find the sustainable solution to any project. We also work with our transportation providers to ensure that the thousands of products we ship daily have the least possible impact on the environment. Since 2005, we’ve partnered with the Environmental Protection Agency’s SmartWay program to reduce transportation-related emissions and pursue efficient fuels and practices. In just one year, thanks to this collaborative partnership, we saved more than 27 million gallons of diesel fuel and reduced CO2 emissions by approximately 280,000 metric tons. Plus, our environmental practices have deemed us seven-time winners of the SmartWay Excellence Award! 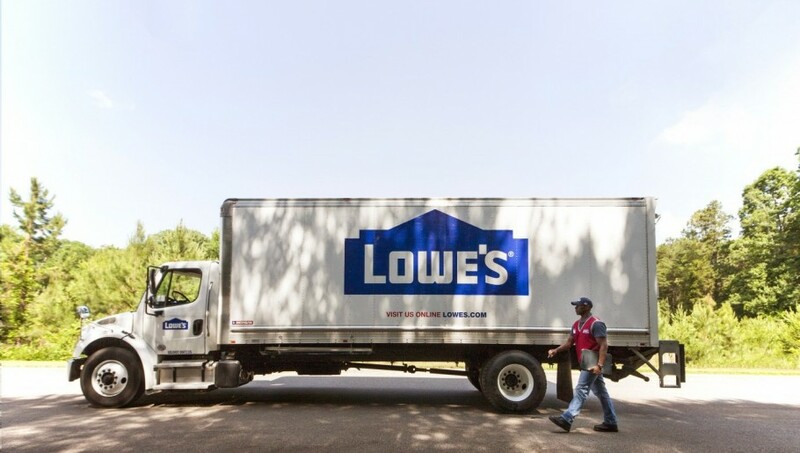 Learn more about our efforts to be Lowe’s Heroes, then if you’re ready to join our movement to save the environment one project at a time, start your career at Lowe’s.